At any level of sports, one player's chance to shine comes at the expense of a star that goes down. 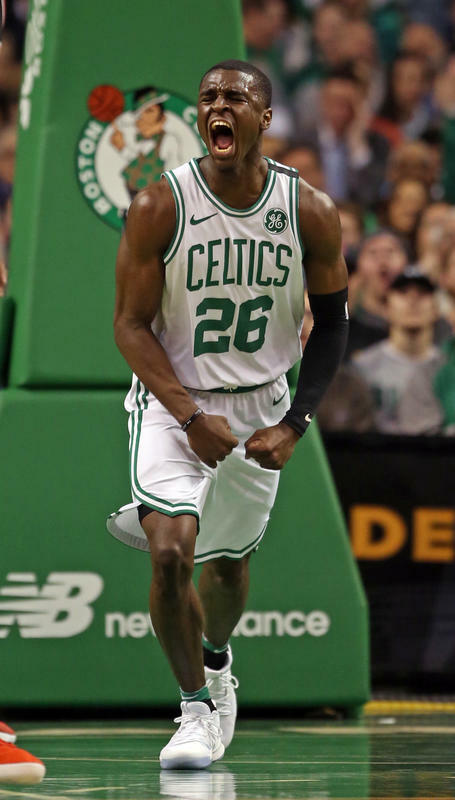 That is what happened to the Celtics Jabari Bird. At the beginning of last season, Bird was on a two-way contract with Boston and was looking at spending most of his time with the G-League Maine Red Claws. But within minutes of the Celtics' first game of the season, Gordon Hayward suffered his devastating ankle injury, and things changed fast for Jabari. Bird received the call to action and got into the Celtics third game of the season versus Philadelphia. The Celtics were trailing, and J. J. Redick already had 15 points. The Celtics needed to cool him off, and Jabari was chosen as the coolant. Redick, who lit the Celtics up for 15 points during the first 27 minutes of the game, scored only four more points during the final 18-plus minutes following Bird’s entrance into the game. Bird played nearly 14 of those minutes, and the Celtics outscored Philadelphia by 12 points during that time frame as they tallied their first win of the season. Bird is back with the Celtics this season, this time on a standard NBA contract - no more two-way deals. He uses Semi Ojeleye as the guy he wants to emulate. He knows that means tough, consistent defense. His destiny is now in his hands. Time will tell whether he has learned to fly with the seasoned vets.